The names of teas are a source of pleasure in and of themselves. Why ask someone if they’d like a cup of black or green, when you can offer Cloud and Mist? 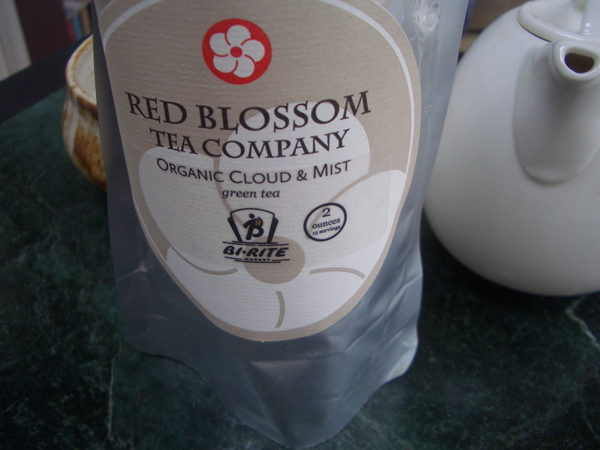 Red Blossom Tea Company is a second generation family owned business in San Francisco’s Chinatown, and though a trip to their shop is imminent, I discovered their teas through BiRite Market–the smokin’ hot grocery in the center of the smokin’ hot Mission district. In a store where shelf real estate is precious, Red Blossom teas occupy two. On a recent shopping expedition, my best friend Shani and I decided to treat ourselves to a packet after which we hurried back to my place for a little brew and chat. 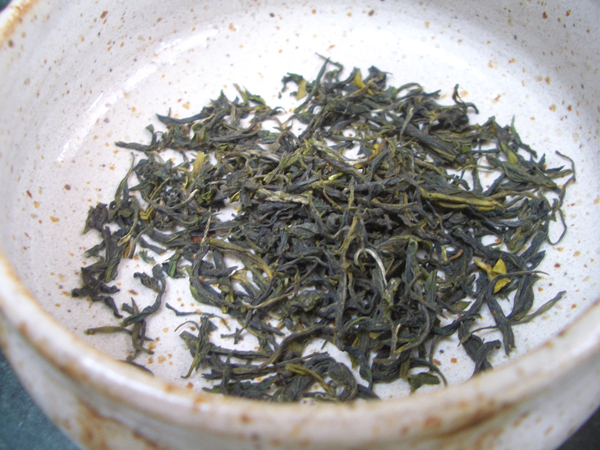 “Harvested late April 2012 from Fuding County, Fujian Province. 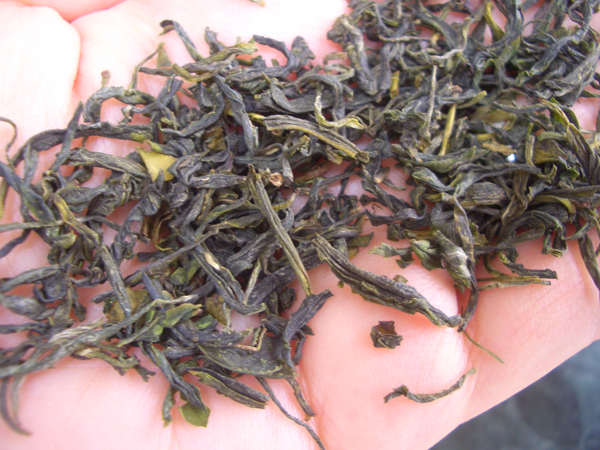 Cloud & Mist is one of the oldest styles of green tea from Fujian. The locals sometimes call the tea “cai cha” or “vegetable tea”, an endearing, familiar term for a tea that they drink day in and day out. After tasting we would have to concur with all the notes above. The only embellishment would be the specific floral note we got was gardenia. Bring water to 175°F (79°C)–when small bubbles begin to rise to the surface. For more on water temperature go here. Add 1 Tbsp. 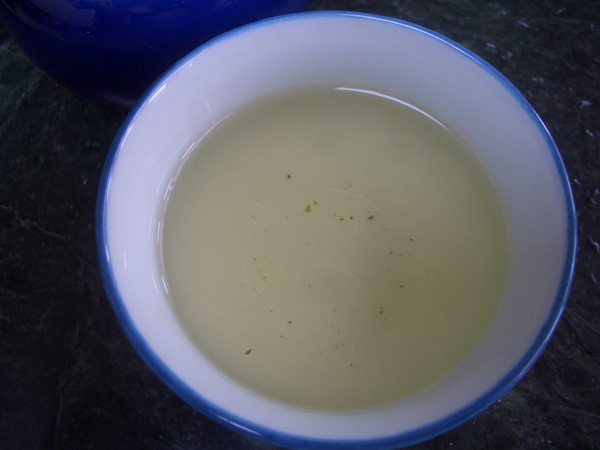 (15ml) tea leaves to pre-warmed cup (6oz./180ml). 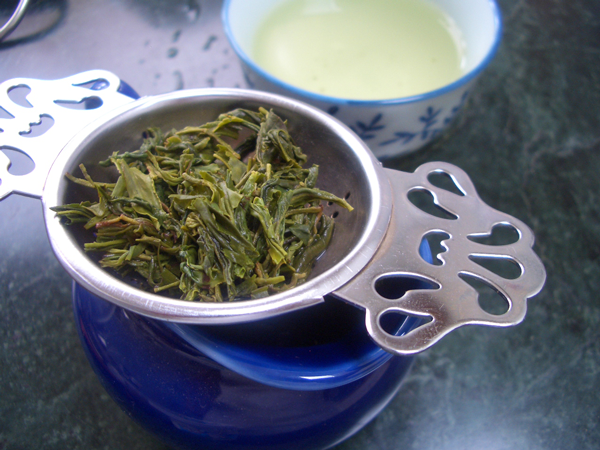 Double the quantity if using a teapot (12oz./360ml). Add water and steep for no more than 1 minute per steep. Pour off all liquid to prevent over-steeping. This tea can be steeped many times over.